The Occidental Hotel, 1886, restored in the 1980s. 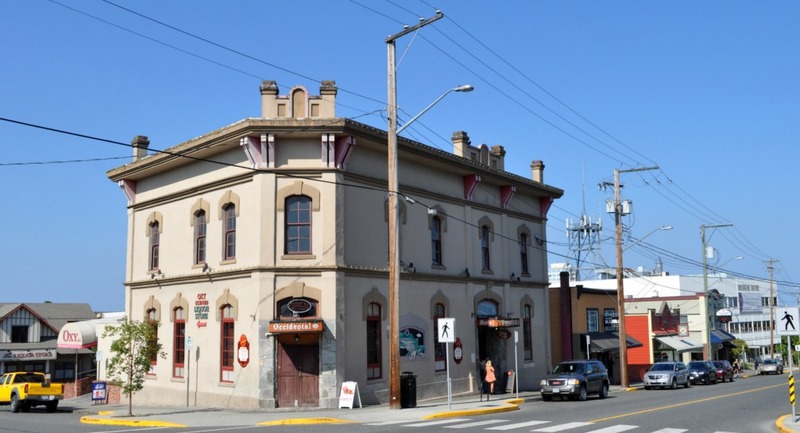 Nanaimo’s roots go back to the 19th century. Its central area has rich architectural and heritage interest — combined with a mix of sometimes brutal modernist styles, and a tendency in recent decades for local owner-operated business to fail. 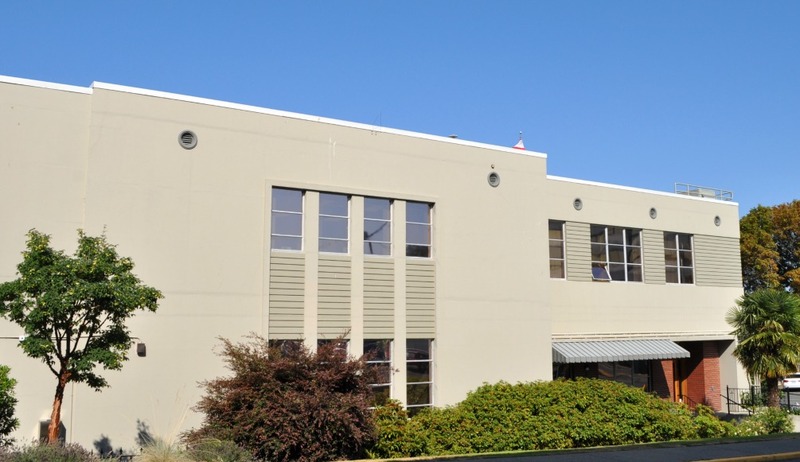 But as of 2018, central Nanaimo may finally be finding its feet. The city occupies a difficult site. It faces the lights of Vancouver across the Strait of Georgia, which is atmospheric, but it’s fragmented by steep hills, gorges and bogs. Growth has hugged the coastline, sprawling northward. As with many Canadian cities, the establishment of ever-bigger shopping malls sucked the energy — i.e. the pedestrian traffic, and therefore the potential customers — out of the old downtown. So what’s happening now to reverse the trend? In no particular order: we could look at the exodus of boomers from Vancouver, cashing out of their high-priced homes and looking for something cheaper and calmer. We could notice that climate change and extremely hot weather in the United States is bringing hordes of American tourists to the B.C. coast, seeking relief. At the same time, the city government’s central area plan, adopted in 2002, is generating new apartment housing and improved transit. My co-tourist on a late Saturday afternoon was Russell MacEwen. Russ remembers when Nanaimo residents travelled downtown to shop at the butcher shop and the department store. He landed his first job at Ryan’s wholesalers in 1962, at the edge of what they now call the Old City Quarter. He assembled packets of school supplies for delivery to drug stores and such. During our walk, he pointed to where the high school stood, to ruined steps leading up to a vanished mansion, and to an empty field where the bells once rang at the Catholic convent. However, we also saw structures that have been rescued by redevelopment. 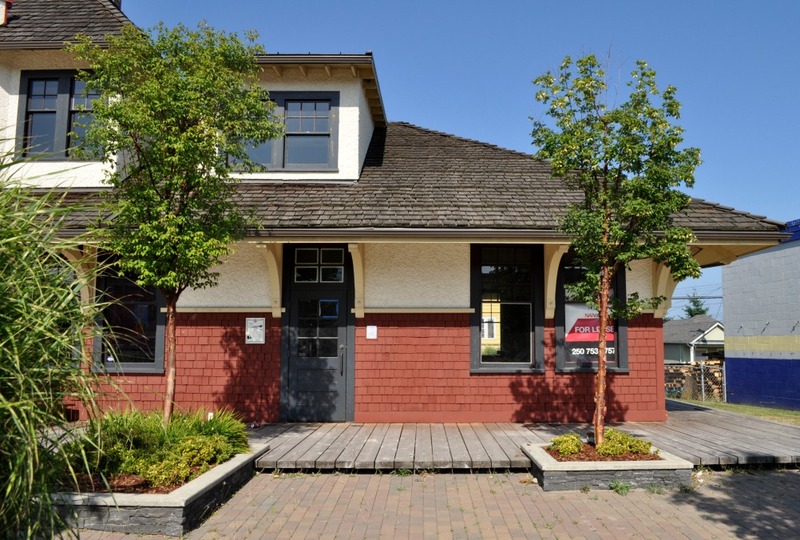 The railway station is now a pub and museum, the Eaton’s department store is an apartment complex, and heritage homes have been occupied by lawyers and health clinics. A corner of the E&N Railway station, dated 1920, now partly occupied by the Coach and Horses pub. On Selby Street opposite the railway station. 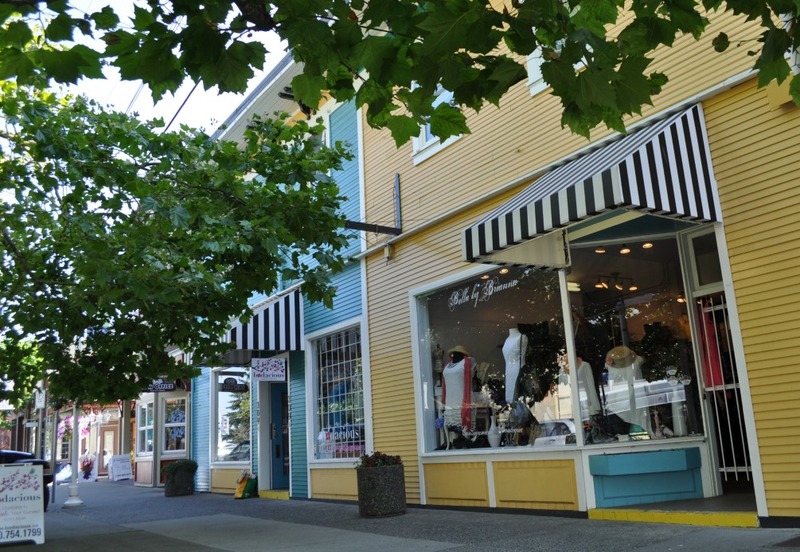 This classic streetscape shows up Nanaimo’s history as a town of miners and mill workers. 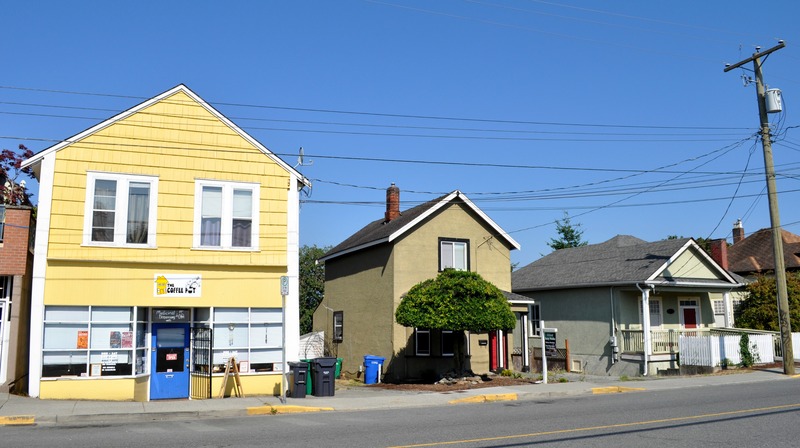 The yellow structure, a former neighbourhood grocery store, is now a cannabis club. 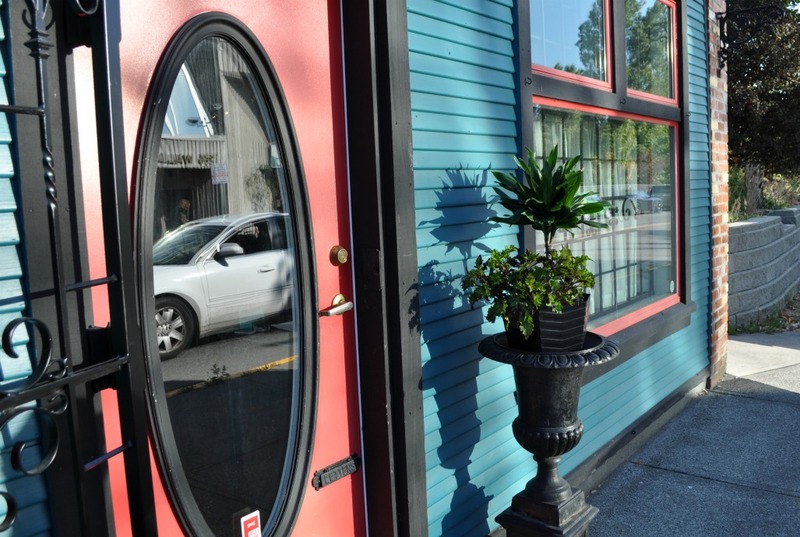 Boutiques on Wesley Street, a block below Selby. 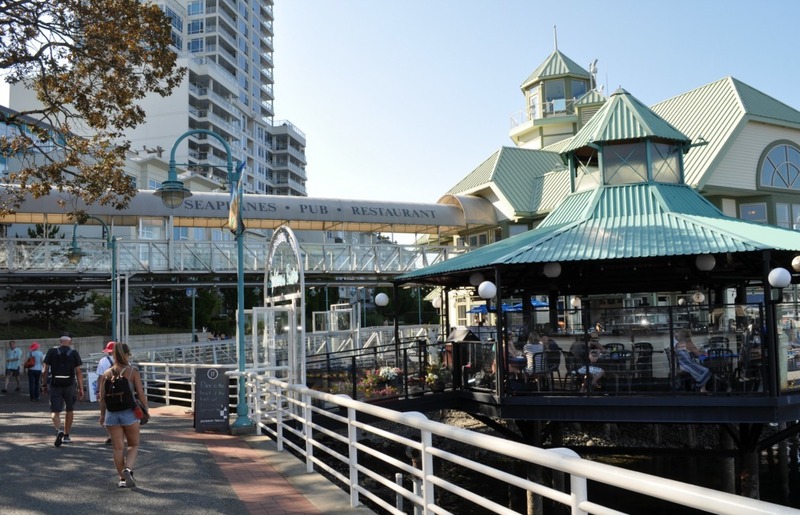 Nanaimo’s harbour marina and the Old City Quarter make up the two poles of an easy touristic walk. They are about 10 minutes apart by the most direct route. In between lies the old downtown, with a European-style network of winding streets. 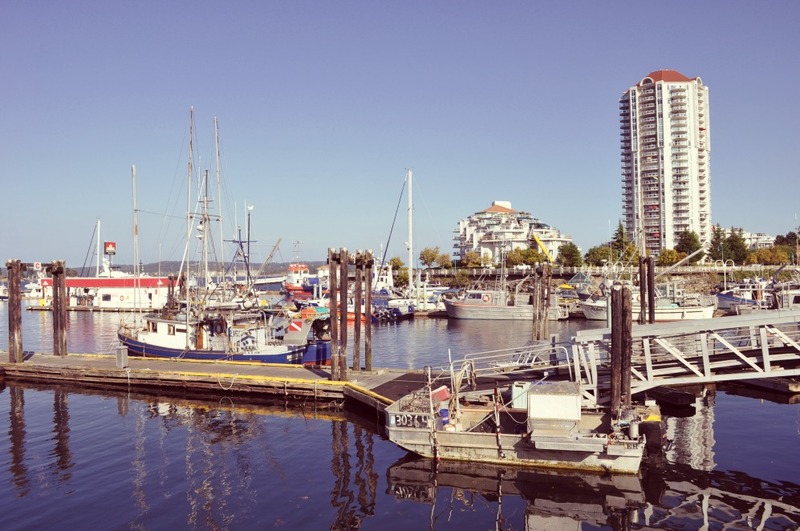 The marina lies close to the southern end of a scenic waterfront promenade, offering a half-hour walk with a view of islands and parks. The marina precinct has seen its own struggles: it was conceived some decades ago as a tourist attraction, especially because of its proximity to the city’s convention centre. However, the federally-controlled Harbour Commission (by local rumour) has been greedy in setting rents for ice-cream vendors and gift stalls, with disruptive results. The pattern may have stabilized; there is certainly lots of foot traffic in high summer. We had dinner for four at Le Café Francais, just behind the convention centre. It is operated by a very nice family from a town in Normandy, and the food was good. Our server, one of the sons, joked about having to post pictures of the Eiffel Tower on the walls, but c’est la vie. 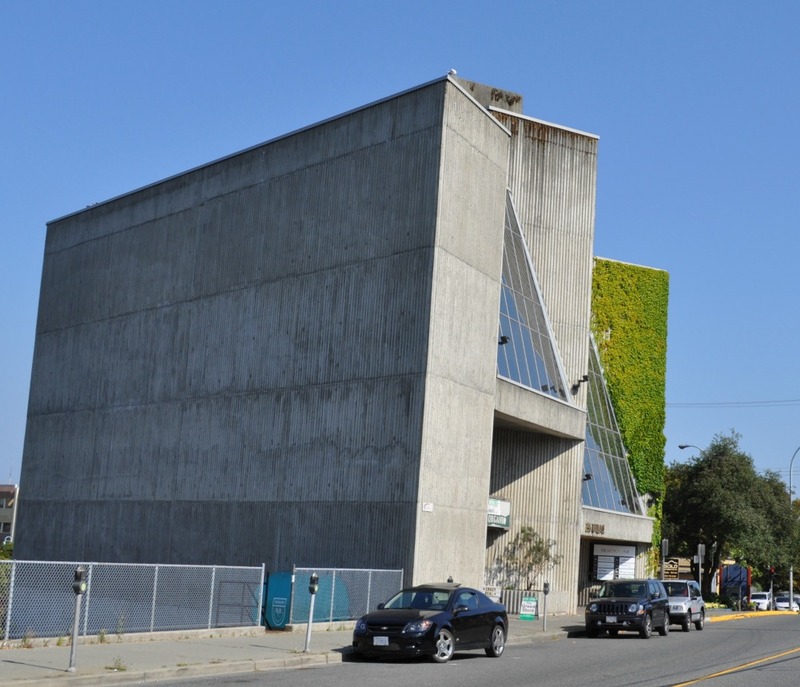 Meanwhile, back in the real world: Nanaimo’s central area also features severe examples of modernist architecture. At the top of this set of three is the rear of the City Hall, showing postwar Art Deco elements. 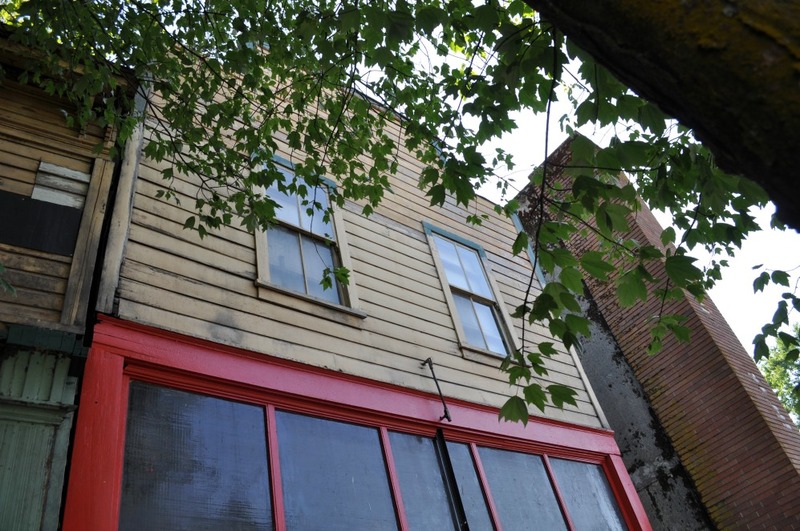 Second is a commercial block on Wallace Street. 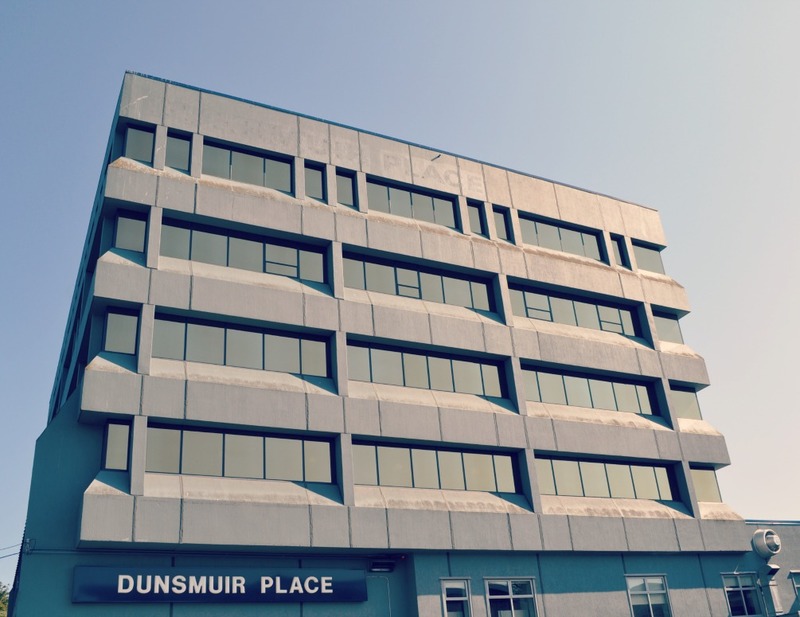 Dunsmuir Place, immediately above, was developed around 1980 by the Nanaimo Commonwealth Holding Society. This “charity,” fed by bingo revenues, was the child of a one-time B.C. Minister of Finance, David Stupich. His insurance company happened to rent space in the building. He was sentenced to prison for diverting charitable donations to the New Democratic Party, but he died before he could serve his time. 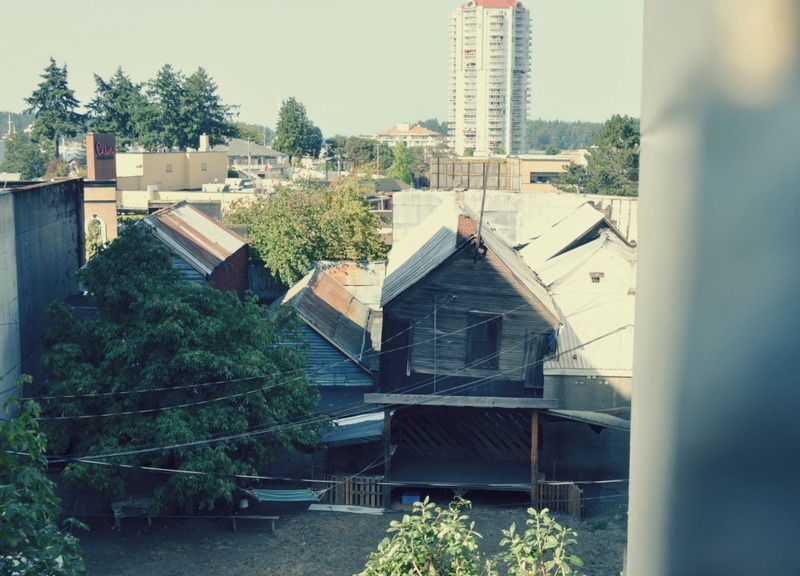 A shambles of settlement-era wooden structures in the lower downtown, possibly 1880s, with the Cameron Island tower in the background. « B.C.’s trading profile: coal to Japan, mystery food to the U.S.